1. 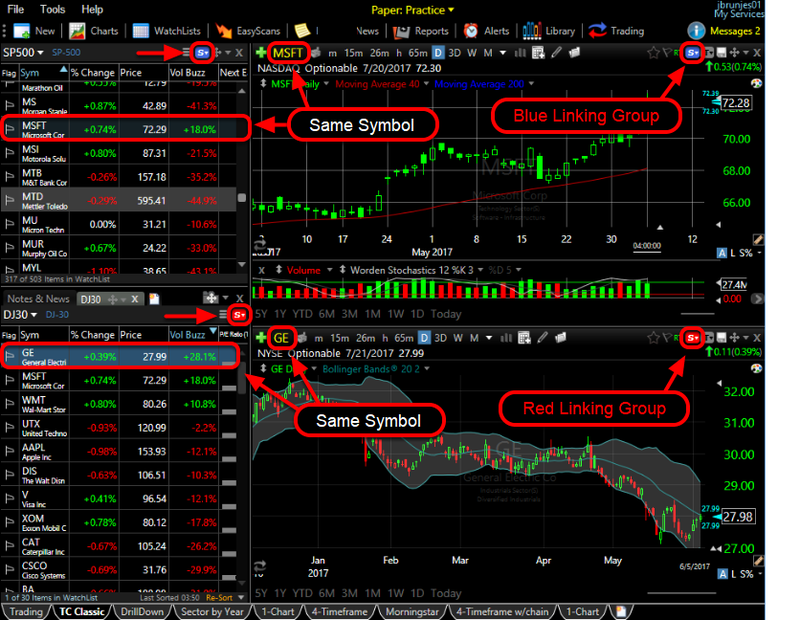 By default every window in TC2000 is set to the blue symbol link group. 2. 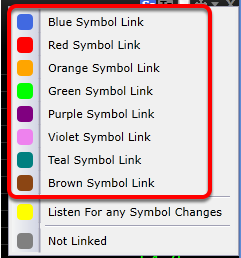 This means that whenever you change a symbol in one window, all the other windows will change to that symbol as well. 3. 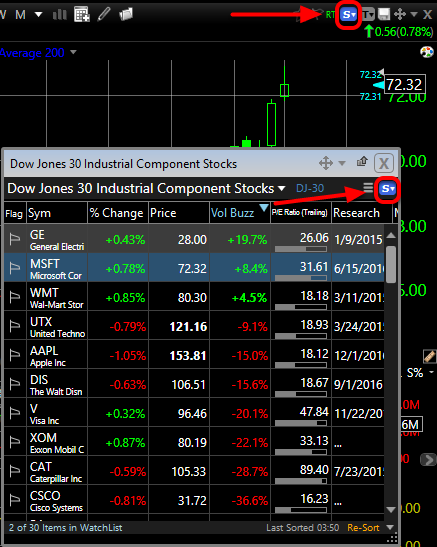 To change this behavior, set your windows to different symbol link groups. There are 8 groups to choose from. 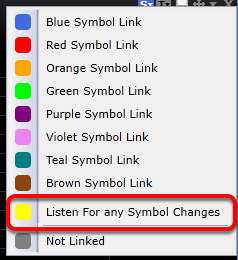 If you choose yellow this window will change regardless of symbol link group you use. 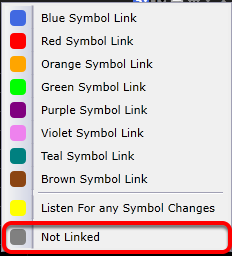 If you choose grey this window will not change unless you manually change it. 4. 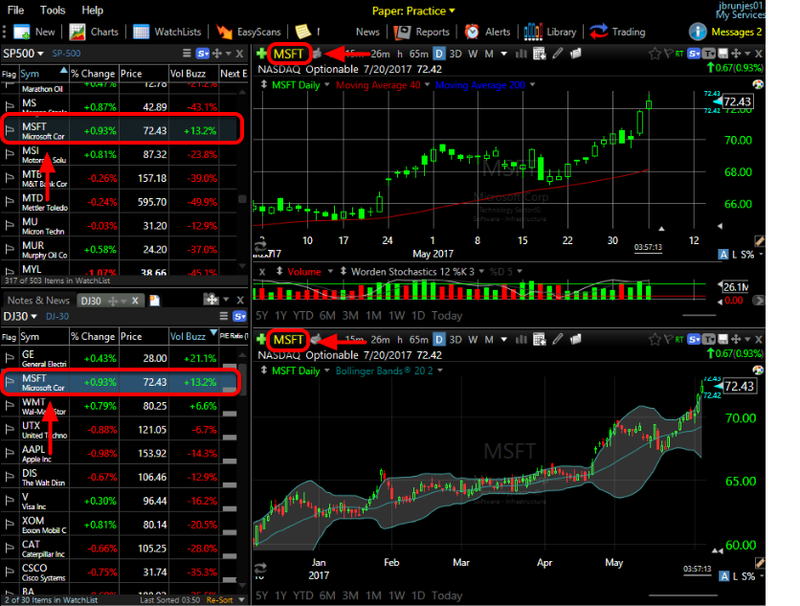 When set to different groups, only windows within that group will change.